Being pregnant and being stylish aren’t typically mutually exclusive. Pregnancy is filled with so many challenging things: exhaustion, morning sickness and all the planning that goes into preparing for you little one's arrival but also the excitement, anticipation and getting that bump of yours dressed everyday! During my first pregnancy I had the idea I would never wear any maternity clothes because they all looked so frumpy. Towards the end of my pregnancy I started to discover maternity brands that looked "non-maternity" and totally trendy. One of my favorites is Shop Pink Blush which I'm already sporting during pregnancy number 2 because what I've heard is right...the bump pops sooner the 2nd time around! It feels good to actually get dressed in "real clothes" everyday with Pink Blush. 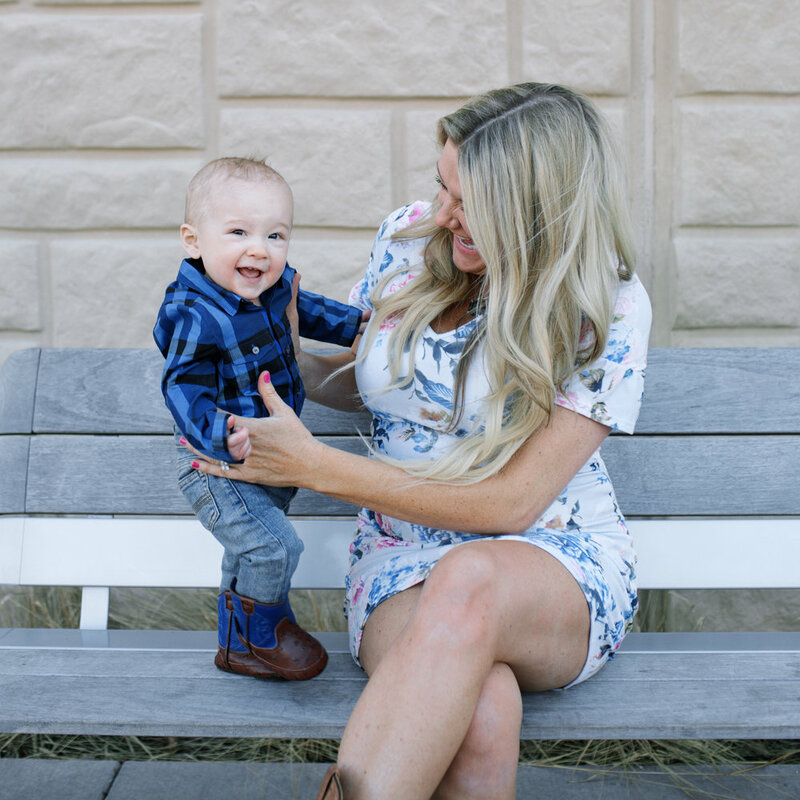 There are so many hot mamas sharing their darling and attainable styles so I wanted to jump in and share some of mine. If you’re looking for some inspiration on how to dress that bump, or if you know of a friend who needs some help, check out more adorable options at ShopPinkBlush.com. My outfits were gifted from sweet, sweet Pink Blush. Photos taken by the lovely Amanda Perry Photography.